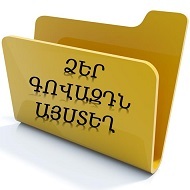 Ներբեռնել լավ որակով ( PDF) ՓՈԽԱԴՐՈՒՄ և ԱՊԱՀՈՎԱԳՐՈՒԹՅՈԻՆ: ՓՈԽԱԴՐՈՒՄ և ԱՊԱՀՈՎԱԳՐՈՒԹՅՈԻՆ: TRANSPORT AND INSURANCE. թրանսփո:թ ընդ ինշուըրընս: (էջ 175-177). նշվում է ապահովագրում: The goods were insured againstmarine risks. ուղարկելուն: We don’t object to your amendingthe Insurance Clause.